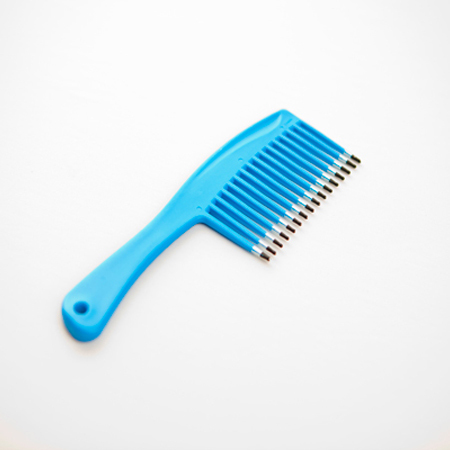 If you have always been proud of your long, thick or curly hair but now wish you did not have as much hair – then this special detangler comb is just for you. Helps prevent unpleasant hair-ripping and screams of “ouch!” from your children. If you have always been proud of your long, thick or curly hair but now wish you did not have as much hair—then this special detangler comb is just for you. Helps prevent unpleasant hair-ripping and screams of “ouch!” from your children.